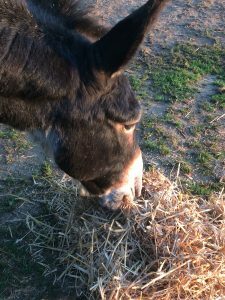 There is never a dull day here at Le Val Borel, and often we have to change our plans because of last minute guests, the weather, events around our land (such as an unexpected fallen tree) or the unpredictability of nature and its beings. At the moment we are currently watching curiously what will happen to two ducks nests that are around our land. 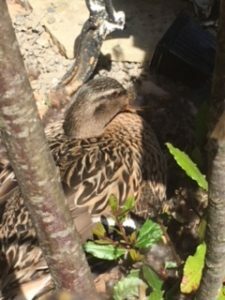 One mother duck has set up nest just outside our back door, we watched the nest increase in size day by day as she laid her twelve her eggs one day at a time; once she had her twelve she began to sit on the nest with only occasional breaks for food, drink and quick freshen up in the pond! Each day her nest changes, a few more feathers here and there, a bit more dried grass here- sometimes the eggs are fully covered by beige and brown down feathers that she has plucked from her breast feathers, other days the eggs are completely on view when she goes for her swim, a beautiful duck egg blue that complements the feathers. 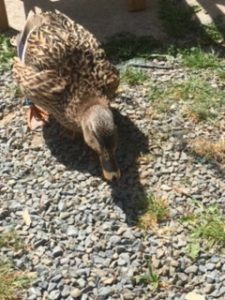 She has been sitting for 2 weeks now, we believe she has two weeks to go before hopefully the eggs hatch into ducklings. 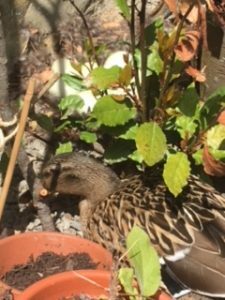 We are in awe of her patience and careful attention to the housekeeping of her nest. Interestingly, there is another female often to be found close by the nest – possibly one of last years ducklings; occasionally they fight and squabble over food but more often they just sit in quiet companionship: jealous daughter, brood companion or another ‘nest guard’ who knows…..
As to the second nest, well that was a complete surprise; last week whilst Peter was strimming suddenly there was an angry flurry of hissing and fluffed up feathers as he got too close to an unexpected nest well hidden among the long grass. We don’t know how long she has been secretly sitting on her seven eggs, but, get too close and she will fluff up, breathe very fast and deeply, and hiss – so we watch and wait from a distance.